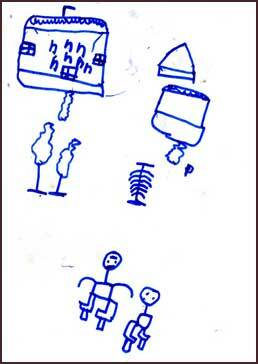 I asked the children in Malawi to draw a picture of their “home”. The age group was 8-12years old from the Primary School in the Mzuzu district. As you can see many of the children have the same designs with multiple houses (community) and animals like chickens.